The head of the organizing committee for the 2022 World Cup in Qatar says that political instability in the region will not have an effect on the project. LONDON (Associated Press) — The regional blockade on Qatar poses “no risk” to the 2022 World Cup going ahead, the tournament head said on Friday, maintaining that logistical obstacles are being overcome and building work is continuing with only “minimal” cost increases. The energy-rich nation’s land border and its air and sea routes have been closed off for four months since Bahrain, Egypt, Saudi Arabia and the United Arab Emirates launched an economic boycott. It has forced World Cup organizers to find alternative sources for materials to complete the eight venues being used by the region’s first major soccer tournament. The diplomatic crisis that has torn apart the Gulf Cooperation Council stems from allegations Qatar supports for extremist groups in the region, charges denied by Doha. 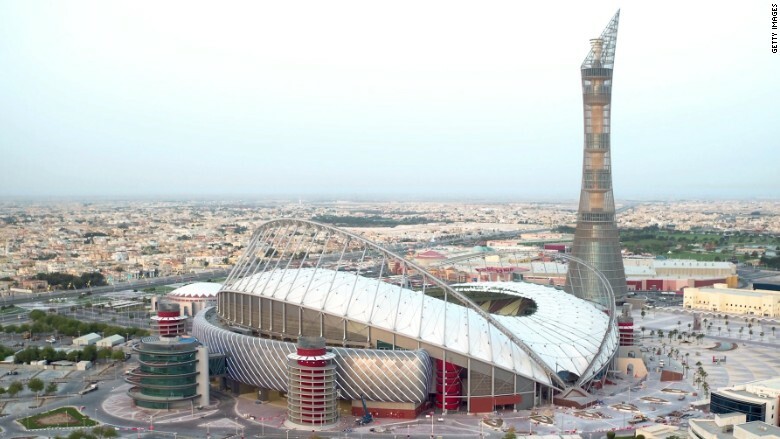 When Qatar’s sole land border with Saudi Arabia was closed and sea traffic cut off, World Cup organizers were forced to instigate their “Plan B.” They express confidence FIFA is not exploring a “Plan B” of its own for an alternate 2022 host. “Every project has contingency plans and we have had contingency plans in place from the very start,” Al Thawadi said in an interview during a visit to London to attend an exhibition by the Doha-based Aspire sports academy. “Once the blockade came into play we contacted the main contractors, we put in place alternative supply chains, we sourced alternative materials from alternate suppliers. I’m very happy to say that our project scale is on time and there is no significant impact on our projects.